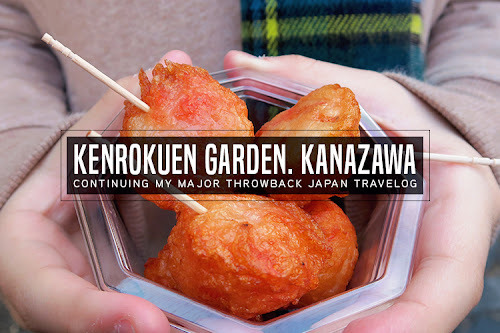 The beauty industry and Cosmoprof Worldwide Bologna 2018 | C A N D A C E .
Hello kawans!! 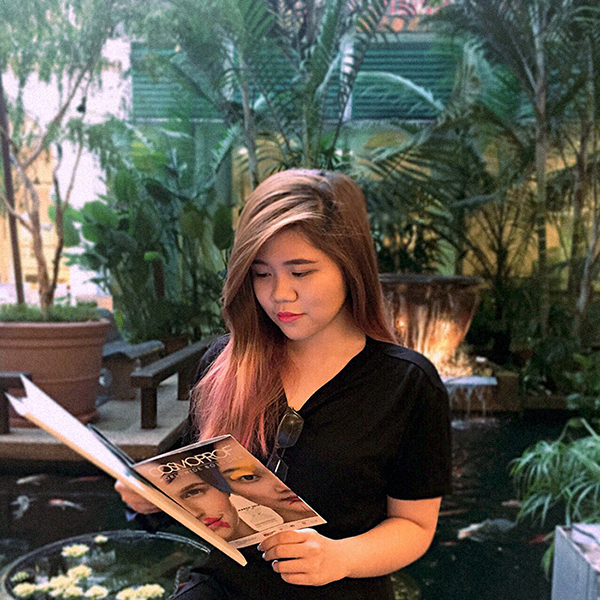 Last week I attended a pretty educational (in terms of beauty haha) presentation-event called Cosmoprof Worldwide Bologna Presentation at Westin Kuala Lumpur. 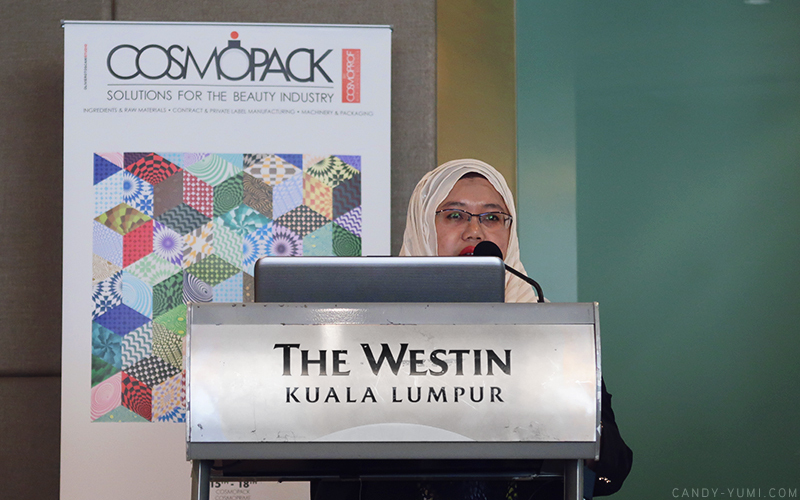 As one whom grew up hoping to work in the beauty industry, I'm thankful for the insights I got to learn about during this presentation-event organised by the Italian Trade Agency (ITA) in collaboration with Bologna Fiere and Cosmetica Italia, with the support of Malaysia External Trade Development Corporation (MATRADE). 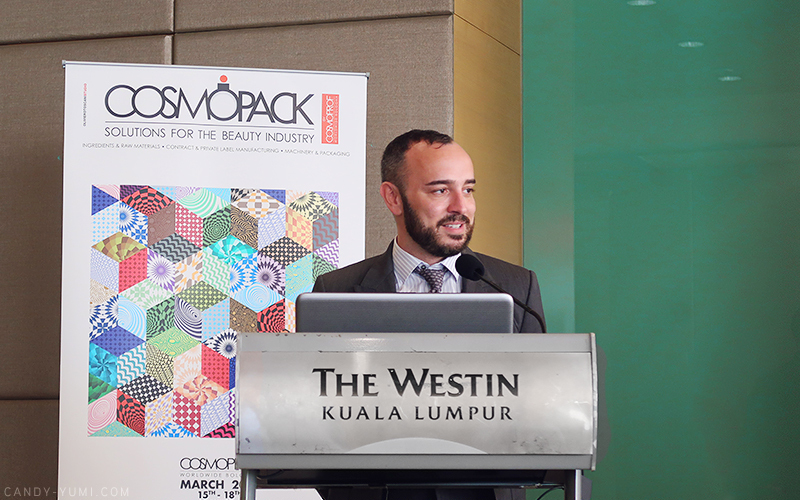 L-R: Mattia Miglio, International Marketing Manager of COSMOPROF, H.E. Christiano Maggipinto, Ambassador, Embassy of Italy in Kuala Lumpur, Dr Samuel Porsia, Italian Trade Commissioner of Kuala Lumpur and Abu Bakar Yusof, Director of Lifestyle, Life Science & Medical Devices and Pharmaceutical Section, MATRADE. Above is Mr Mattia Miglio, the International Marketing Manager of COSMOPROF. 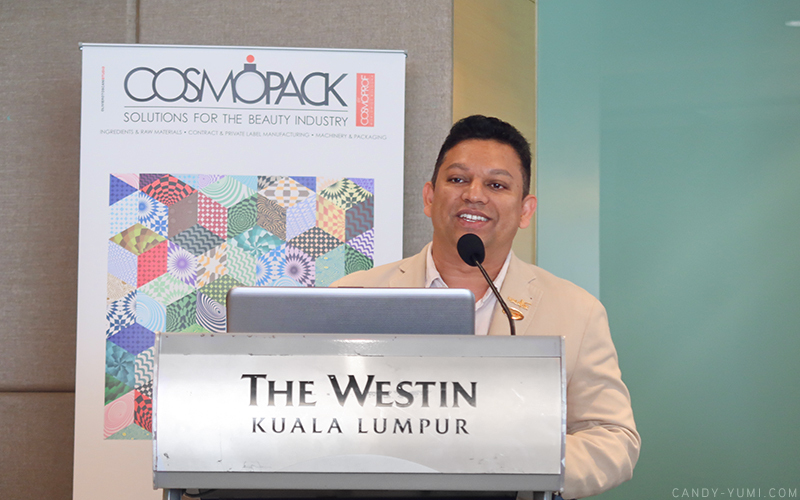 During his presentation, he gave us a better insight on what to expect from Cosmoprof Worldwide Bologna. So at Cosmoprof Worldwide Bologna, the platform is open to various segments in the beauty industry like perfumery and cosmetics, machinery, raw materials, packaging, contract manufacturing, aesthetics, hair care, nail, wellness and fitness. 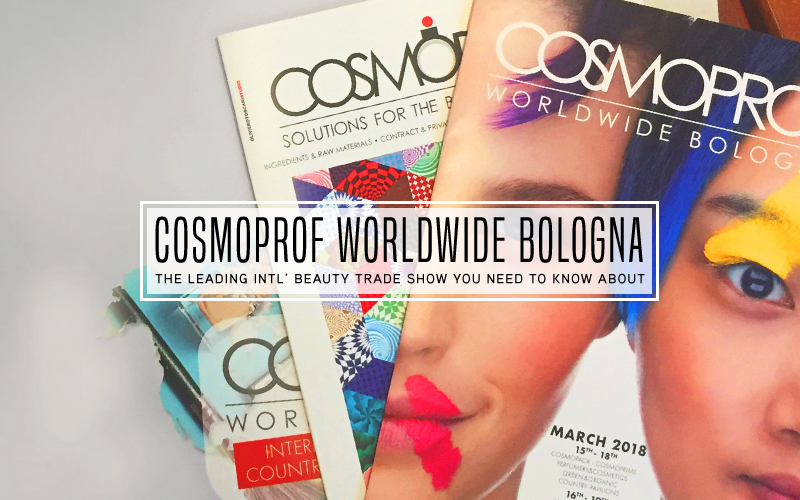 During Cosmoprof Worldwide Bologna 2017, there were 2,677 exhibitors coming from 69 countries. The event also attracted the attendance of 250,000 beauty professionals from 150 countries with 103,571 being non-locals. A total of 1,210 attendees are journalists. For companies and beauty professionals, Cosmoprof Worldwide Bologna 2018 would also be a place to create new acquisitions and international strategic alliances. Many would also attend the event to keep up-to-date with the latest and upcoming beauty trends. I'm sure just by attending an event like so would also spark some new innovative ideas. 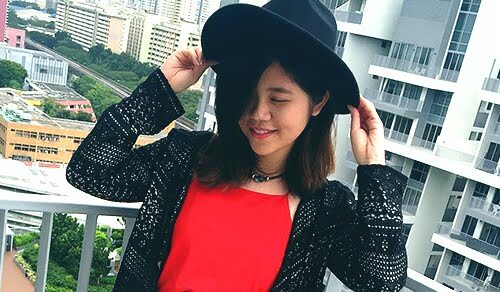 The video above is an ad for Cosmoprof Asia 2017. Now you must be thinking "Huh?" Yup, Cosmoprof is not only in Italy! There is also Cosmoprof North America Las Vegas and Cosmoprof Asia Hong Kong to look forward to! A new addition to this worldwide beauty platform would be their upcoming September 2018 launch of Cosmoprof India in Mumbai. For those interested, more details on these will be listed at the end of this post. During Mr. Abu Bakar Yusof's presentation, he shared that in 2016, the Italian exports of cosmetics to Malaysia has amounted to EUR 8.1 million and that the import of Malaysia cosmetics to Italy has a total of EUR 1.6 million. Although the difference is huge, progress can still be seen. 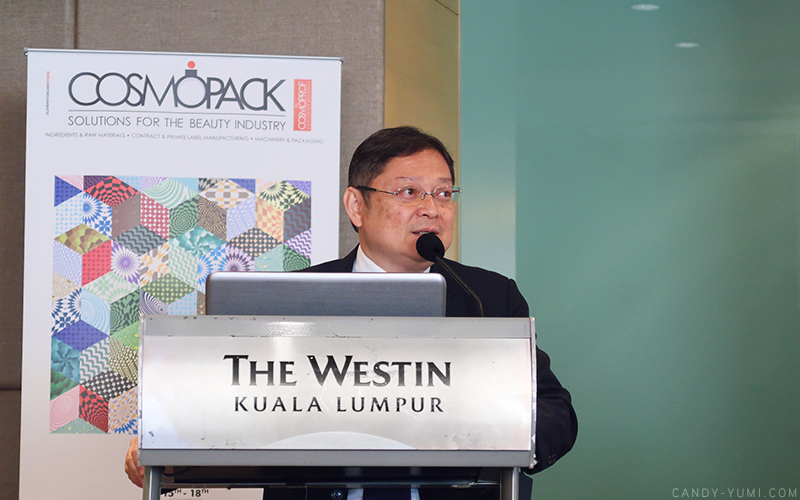 As the imports of cosmetics from Malaysia to Italy had a huge increase of 326% compared to 2015, Mr. Abu Bakar Yusof mentioned that MATRADE will consider building a Malaysia country pavilion at Cosmoprof Worldwide Bologna 2019. 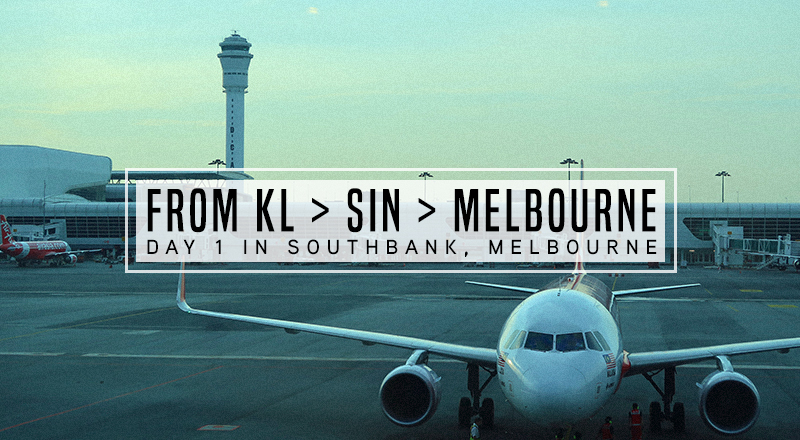 This gives a great opportunity for Malaysia beauty companies to expand their business on an international scale. Some industry trends & strengths that might come in handy for fellow beauty brands. 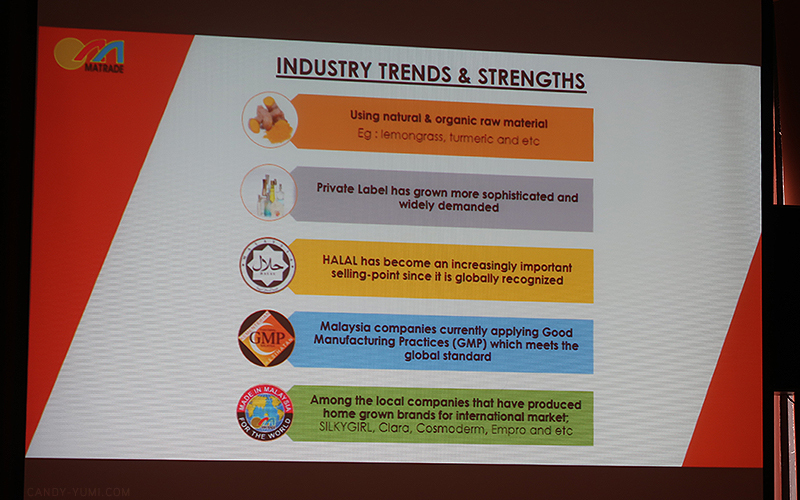 Following on, Puan Mawarni Hassan from the Federation of Malaysian Manufacturers had also shared with us the OEM Manufacturing in Malaysia (Halal perspective). 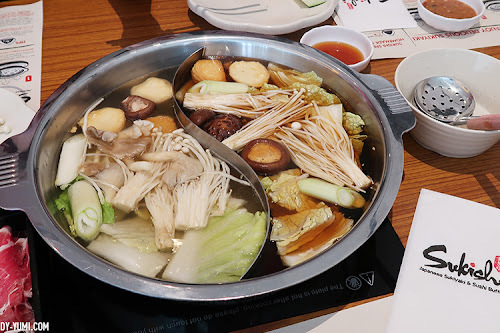 Her presentation had given us a pretty clear definition of "what is halal" and later on explained the difficulties and complex procedure of obtaining a Halal certification for cosmetics. Lastly, the president of Malaysia Association of Wellness & Spa, Dr Baskaran Kosthi gave us a very entertaining speech followed along with funny stories from the spa industry. During his presentation, he introduced us to Malaysia's very own "Malaysian Massage" called Urutan Malaysia. If he did not share about this, I would've never thought of why are there Thai/Balinese massages everywhere but never have I seen Malaysia massage. At least now we know that we have Urutan Malaysia. For those wondering, Urutan Malaysia is a combination of massage techniques from Malays, Chinese, and Indians from Malaysia. I managed to learn quite a bit from Cosmoprof Worldwide Bologna's presentation. As a makeup hoarder, I really can't wait to see what the beauty world has to offer every day. 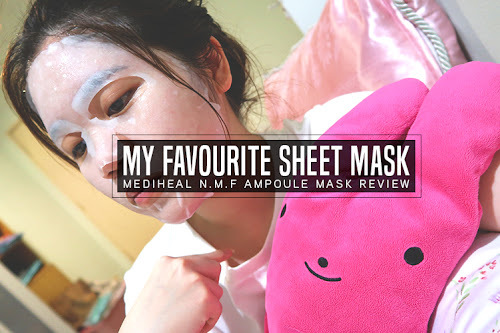 To beauty professionals reading this, good luck! Cosmoprime - scouting ground for retailers & distributors of prestige/mass produced products.